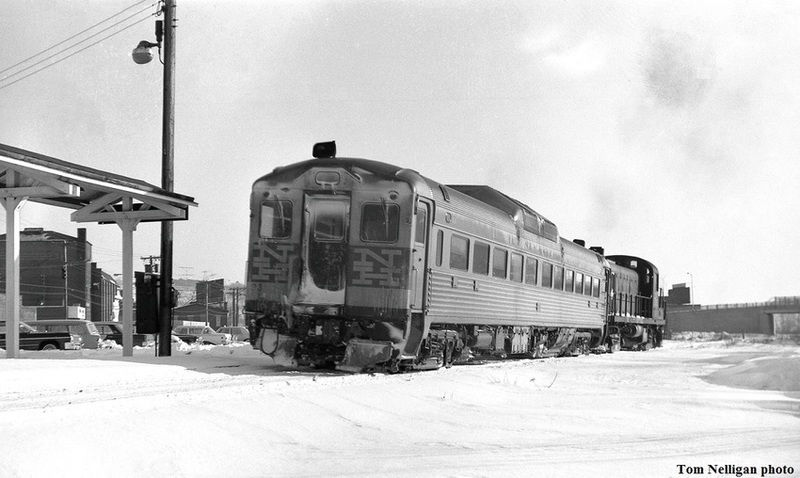 It was a common practice on the New Haven to assign locomotives to pull RDCs on branchline runs after heavy snowstorms, to prevent the lightweight Budds from derailing on ice buildup at grade crossings. Here an RS-3/RDC combination running as a Waterbury-Bridgeport local departs the station at Ansonia, CT, on a winter day. Photographed by Tom Nelligan, February, 1967. Added to the photo archive by Tom Nelligan, February 11, 2019.